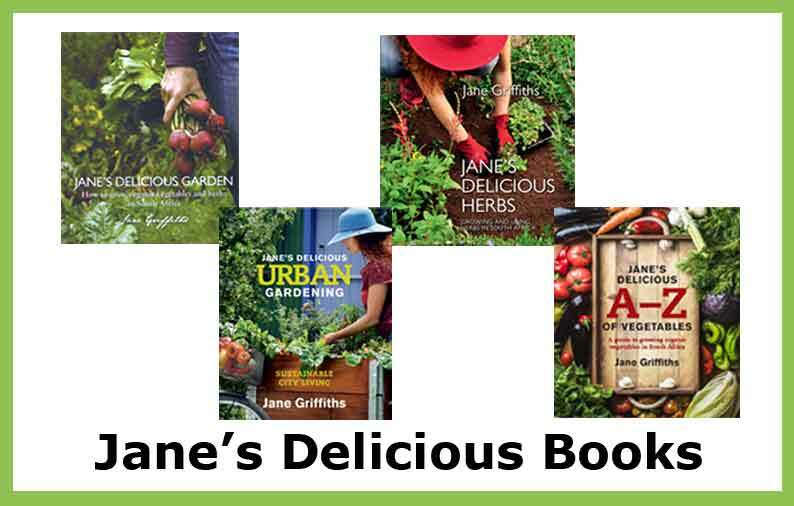 Jane Griffiths published her first book, Jane's Delicious Garden, in 2009. It led to a vegetable gardening revolution in South Africa, with thousands following in her green footsteps. 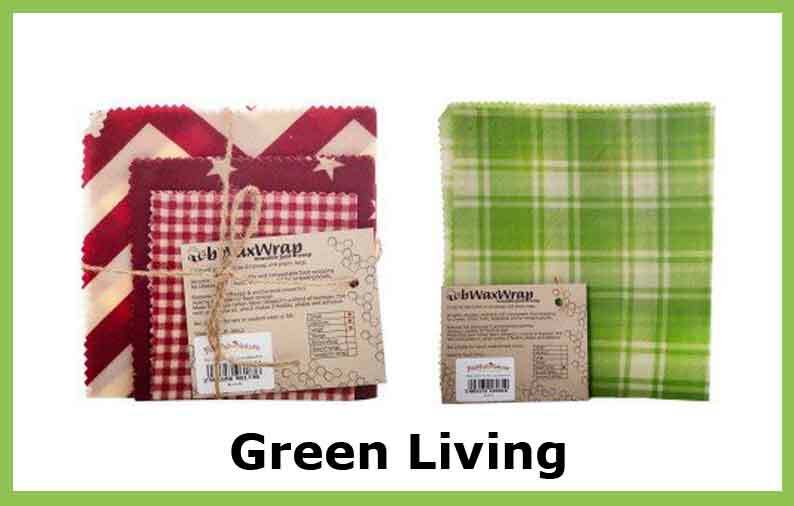 goodies for gardeners and for green living. "When I started growing my own vegetables and herbs, it was a natural step to experiment with making unguents, lotions and potions. Mom’s old double boiler was hauled out from the back of the cupboard and put to good use melting beeswax and shea butter. Abundant herb harvests were chopped, macerated, dried, steeped and spread and made into everything from delicious body creams to healing tinctures. 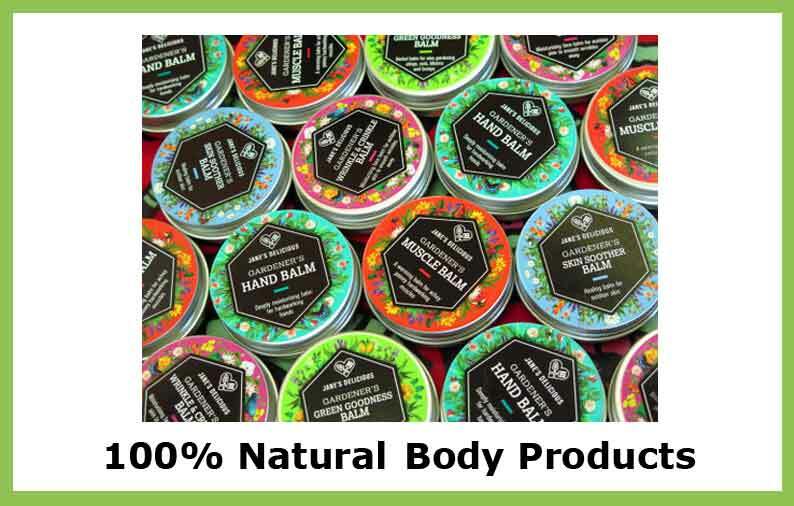 This has now led to me developing a range of 100% natural body products for gardeners, for our hard working hands and bodies "
with the amount you would like to purchase and we will email it to you. 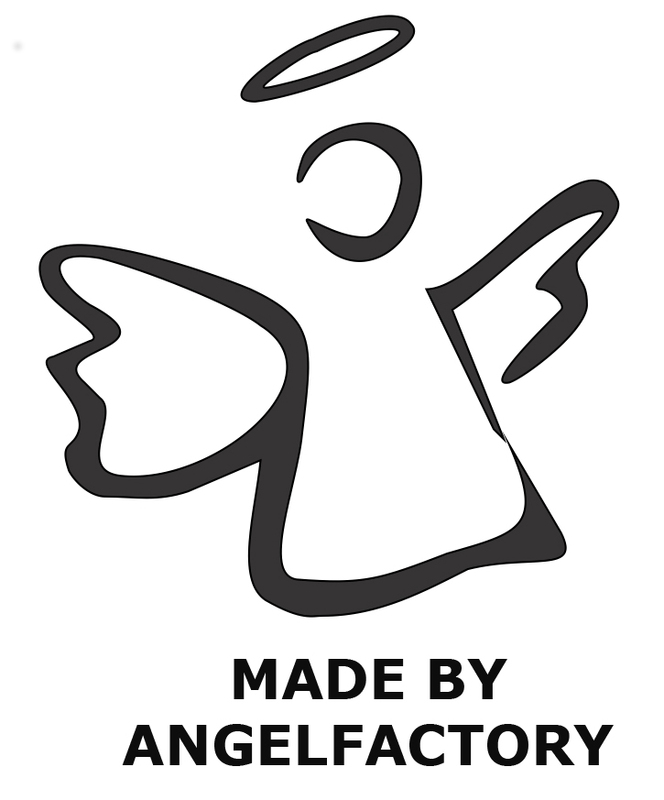 The information contained within this website is for informational purposes only. It is not meant to substitute for medical advice or diagnosis provided by your physician or other medical professional. Always seek advice from a medical practitioner. 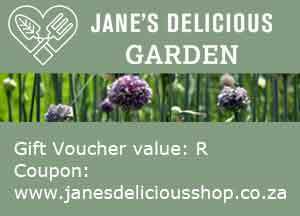 Jane's Delicious Garden and its representatives will assume no liability for any injury, illness or adverse affects for the improper use of any products or information provided on this website. 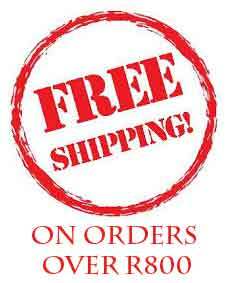 By use of this site and the information contained herein you agree to hold harmless Jane's Delicious Garden, its affiliates and staff. 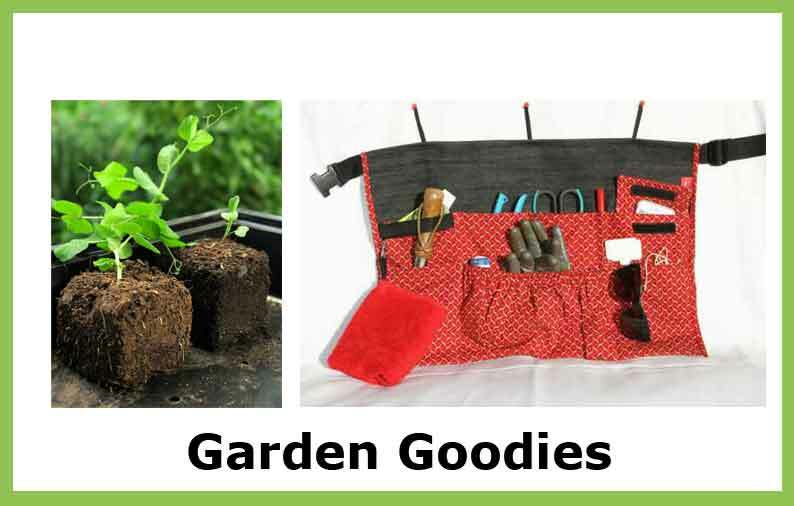 Copyright © Jane's Delicious Garden 2019 | Our Terms.